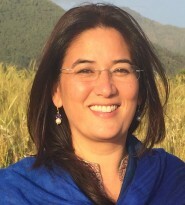 Tsering Palmo Gellek is originally from Berkeley, California and currently divides her time between serving as the director of the newly-established Sarnath International Nyingma Institute (www.sinibridge.org) and forging new connections globally. The Institute provides a unique opportunity for students, researchers, and practitioners, from around the world to deepen their studies in a interdisciplinary approach to human development, social well-being, and environmental stewardship, bridging the wisdom, knowledge, and best-practices of the East and West. Tsering completed her bachelors degree in International Affairs at Lewis and Clark College in 1991 and in 1998 went on to pursue a Masters of Law at the Fletcher School of Law and Diplomacy. Following her graduate studies, Tsering, served as the project manager of Alchemy Project at FIC, under the directorship of Professor Karen Jacobsen. Since 2002, Tsering has been engaged in Buddhist cultural preservation and education. From 2008-2010, Tsering led the renovation of the Swayambhu Stupa; a major national monument in Nepal. Her primary focus is to strengthen the institutional roots of the Institute, including developing the curriculum for Tibetan refugees and monastics, developing exchange programs with universities and other centers of learning around the world, and designing seminars to harness the power of sharing great ideas. Her research interests include: social capital, religion and spiritual forces for social change, preservation of culture and art, and new methods of teaching.